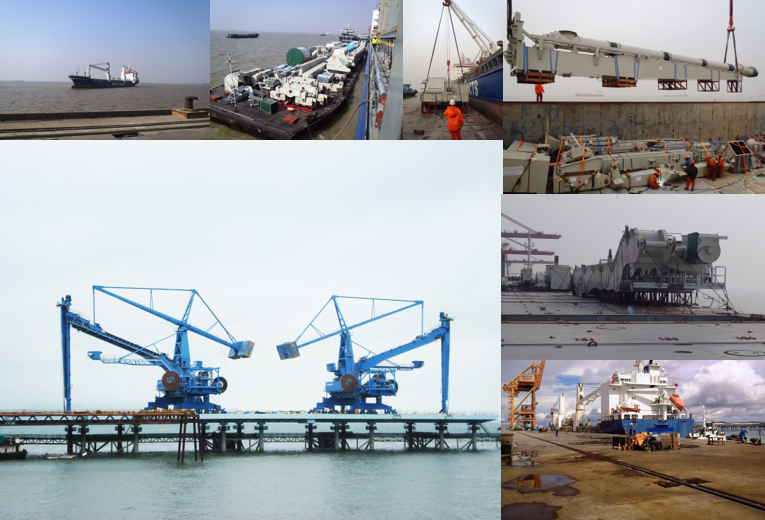 Loaded a large Shipsunloader from Nantong, China to Pecem. Manufacturer is Sivertell. TransProCon assisted on scene with lift rigging of the vertical/horisontal arm for safe handling. Cargo was successfully discharged in Pecem on the working pier for assambly.